A student works with one of Pomona's first computers, the Bendix G-15, obtained in 1958. 12 years ago by Pomona College A faculty member works with Pomona's Heathkit analog computer, one of the College's first two computers—one analog and one digital—obtained in 1961. 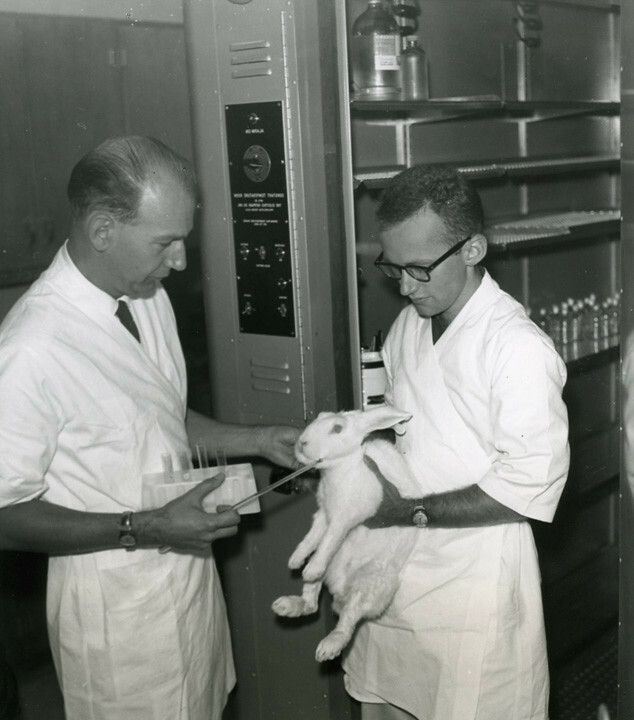 6 years ago by Pomona College Zoology Professor Yost Amrein and student John Crawford ’62 take a rabbit's temperature in the College's new Seaver Laboratory for Biology and Geology in 1958. The first two buildings in the Seaver complex—Millikan Laboratory for Physics, Mathematics and Astronomy, and Seaver Laboratory for Biology and Geology—were dedicated together on Dec. 6, 1958. 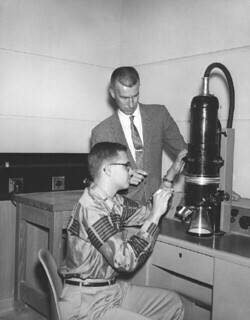 The speaker on that occasion, Dr. Detlev W. Bronk, president of the National Academy of Sciences and of the Rockefeller Institute, referred to the two as “temples dedicated to the truth we seek.” At the time, these facilities were believed to be unsurpassed for undergraduate scientific instruction. Facing each other across College Avenue, the matching structures were the gift of Frank R. Seaver 1905 (trustee 1947–64). 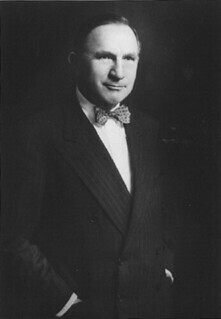 Plans for Millikan were first discussed by Dr. Charles A. Fowler, Jr., professor of physics and chair of the department, at a trustee-faculty retreat in 1956. The original plan was to site a new building on Fifth Street between College and Harvard avenues, but ultimately the larger lot north of Sixth Street was selected. At Seaver’s request, the new building was named for Robert Andrews Millikan (1868–1953), professor of physics at the University of Chicago, first president of Caltech, and Nobel prize-winner (1923); a close friend of Seaver, Millikan had made Southern California a world-renowned center of science education. 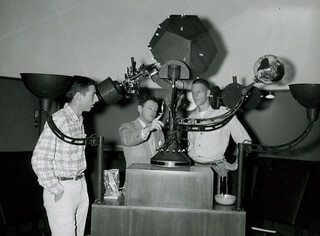 The 43,927-square-foot facility included laboratories for nuclear, electronic, and atomic and molecular physics; the College’s first computer lab; the Spitz Planetarium, featuring a stellar projector that simulated the sky as seen by the naked eye; separate libraries for the three disciplines; an extensively equipped machine shop; a 150-seat demonstration auditorium; and an engineering drawing laboratory. 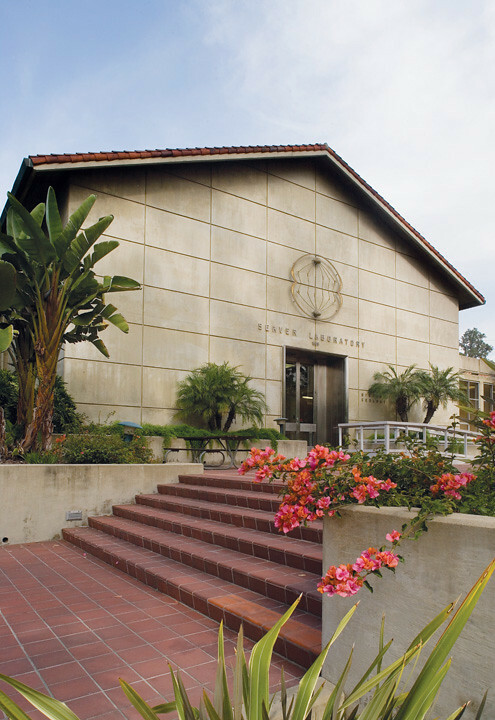 Millikan doubled the space available for physics, mathematics, and astronomy, freeing Pearsons Hall, which was then remodeled for the departments of History, Religion, Philosophyand Classics. 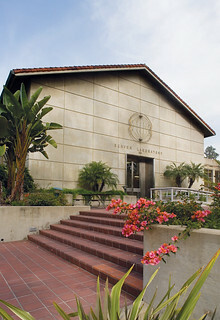 The Seaver Laboratory for Biology and Geology, now known as Seaver South, was constructed at the same time as Millikan Laboratory just across College Avenue. Encompassing 50,529 square feet, its facilities for biology included electron, phase and Baker interference microscopes; a radioactive-isotope laboratory patterned after Oak Ridge; experimental aquaria using seawater for marine-life study; and a controlled-temperature animal house. 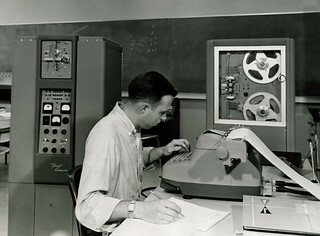 For geology, it featured a microscope room with Zeiss and Leitz instruments with four-axis universal stages for three-dimensional measuring purposes; an X-ray spectrograph for chemical analysis of rocks; a gravity meter for measuring earth tides; ultrasonic separator for breaking up rock material; an experimental lab where clay was used to simulate the earth’s crust; and a rock-slicing room with diamond saws. The building also included libraries for both zoology and geology. 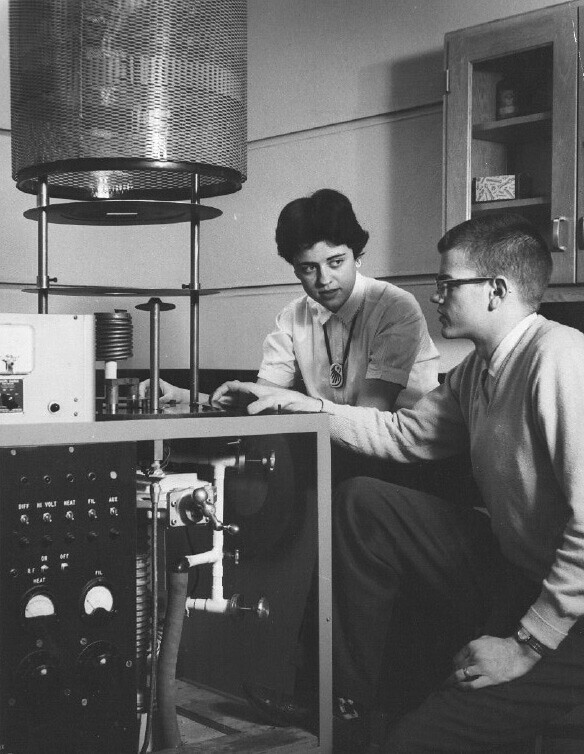 The construction of Seaver Laboratory freed space in Mason and Crookshank for chemistry, psychology and botany. Although the trustees initially believed that Mason Hall would continue to suffice for chemistry, the completion of Millikan and Seaver laboratories soon led to a different conclusion. 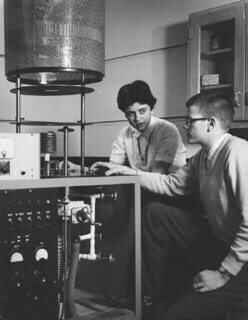 In September 1962, Frank Seaver met with President Lyon and Chemistry Professor R. Nelson Smith ‘38 in Mason Hall, bringing a $1,000,000 check for what would become Seaver North, finished in 1964. The growth of interest in art was one of most prominent post-war developments at the College, and the expansion of the fine arts curriculum, under the supervision of a series of distinguished faculty members, inevitably led to a demand for enhanced facilities. 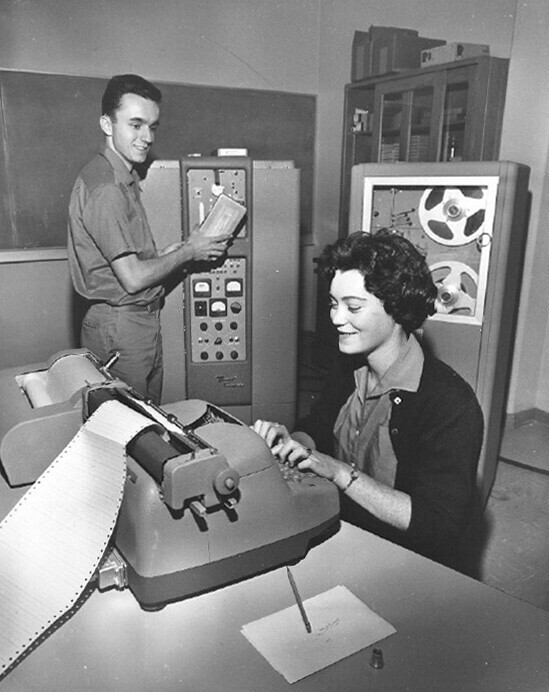 In the late 1950s, President Lyon encouraged art historian Professor Peter Selz, then chair of the department, and his colleague, Professor Seymour Slive, to present their needs to the Academic Affairs Committee of the Board, chaired by Gladys K. Montgomery; ultimately, her husband Victor would donate a new fine arts building named in her honor. Designed by Herbert Powell, who was working at the time on the Seaver science buildings, the reinforced concrete structure included a gallery, lecture room that also served as a gallery, space for permanent collections exhibitions and seminars, and a slide room. 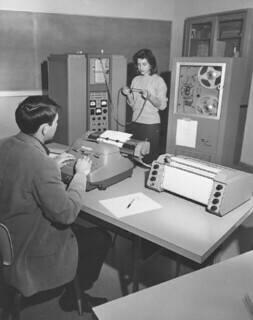 Completed in the summer of 1958, it doubled the space available to the art department, adding 8,000 square feet adjoining Rembrandt Hall on the south and west and freeing space there that was subsequently transformed into studios and classrooms. 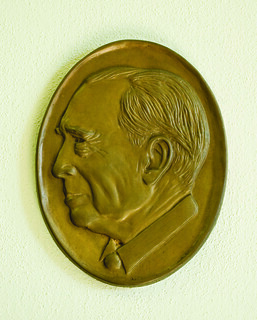 The dedication of the new art center was celebrated with an exhibition titled “The Stieglitz Circle” that included paintings by Charles Demuth, Arthur Dove, Marsden Hartley, John Marin, Georgia O’Keefe, and Max Weber; art historian Seymour Slive, who had, by then, left Pomona for Harvard, gave the opening lecture. Also on view was the College’s permanent collection, exhibited together in one place for the first time in its 71-year history. As had been the case with Rembrandt Hall, the Rembrandt Club played an important role in securing the new art center, asserting the need for improved facilities and raising initial funds. Gladys K. Montgomery, for whom it was named, had been a trustee since 1948. She was also the first president (1940) of the Women’s Campus Club of Pomona College, a large organization of mothers and friends of students, and a civic and cultural leader in Los Angeles. Completed in 1958, Stover Walk, which connects College Avenue and College Way along the northern edge of Marston Quadrangle, is one of the College’s primary east-west axes. At Commencement, its role becomes ceremonial as well, serving as the gathering point for the annual procession of trustees, faculty, and graduating seniors to the site of the ceremony in Bridges Auditorium. The beautification project of which it was a part also included 10,000 ivy plants, a dozen new trees, including an olive and six Canary Island pines; automatic sprinklers, new lights, and benches. The north side of the walk was enhanced by a bronze relief figure of Pegasus, created and donated by sculptor Albert Stewart, professor of fine arts at Scripps College, and installed on a terrazzo wall originally located between Edmunds Union and Holmes Hall. Stewart noted that he chose Pegasus, the winged horse, as a classic symbol of aspiration. 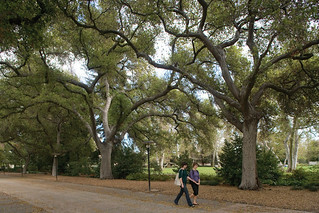 When the Smith Campus Center was built in 1999, replacing Edmunds Union, Stover Walk underwent modifications designed in part to open north-south vistas across Marston Quadrangle. Pegasus now rises on a low wall on the south side of the walk near College Avenue. In 1958, with the move of physics to the newly completed Millikan Laboratory, Pearsons Hall became a humanities center, housing the departments of History, Religion, Philosophy and Classics. 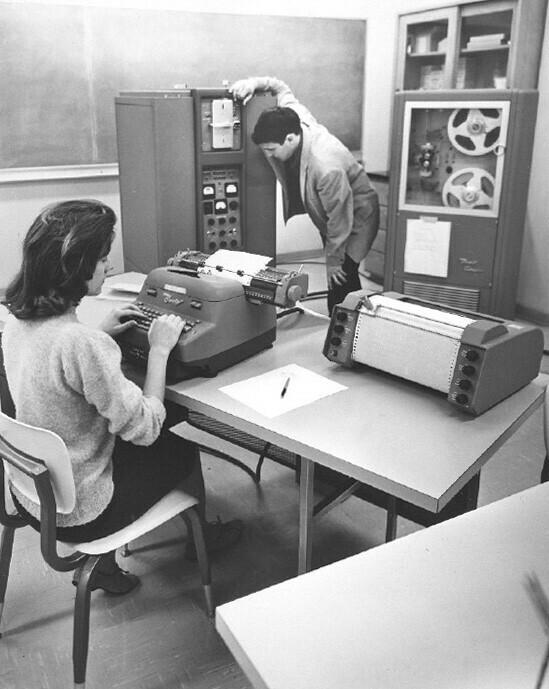 The age of computing dawned at Pomona College in 1958 with the College’s first computer lab in the newly opened Millikan Laboratory. The lab included both an analog computer (a type no longer in use) assembled from Heathkit components at a cost of about $4,000, and a digital computer, the Bendix G-15, a machine the size of a refrigerator containing 450 vacuum tubes and using punched-paper tape or cards. 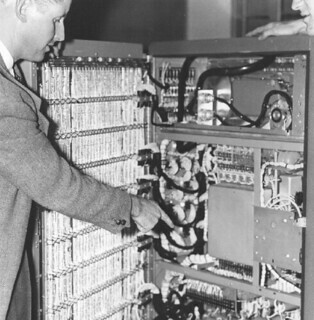 The Bendix’s RAM (random access memory) consisted of four channels with a capacity of four words each, for a total of 16 (not 16K, just 16). Total memory was 4,000 characters. 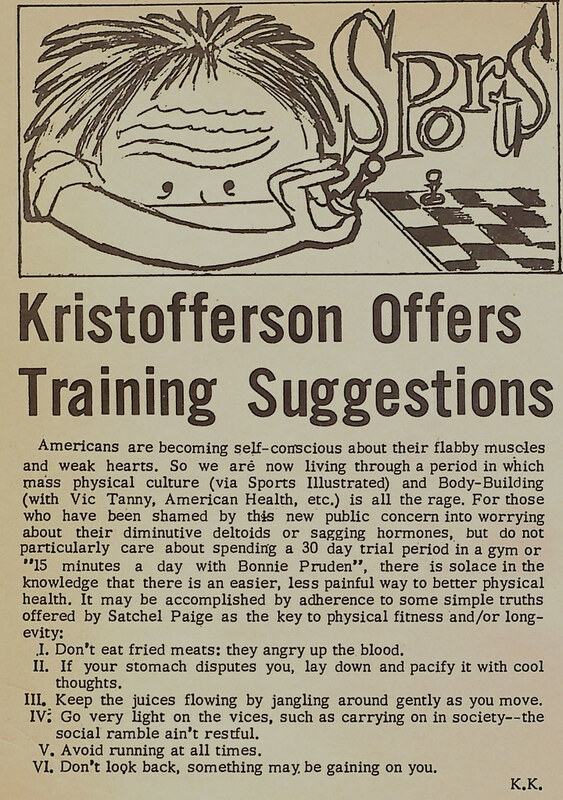 Kris Kristofferson ’58 became Pomona’s eighth Rhodes Scholar. In 1958, after more than a decade of combined athletics, Pomona College and neighboring Claremont Men’s College decided to split up and go their separate ways. 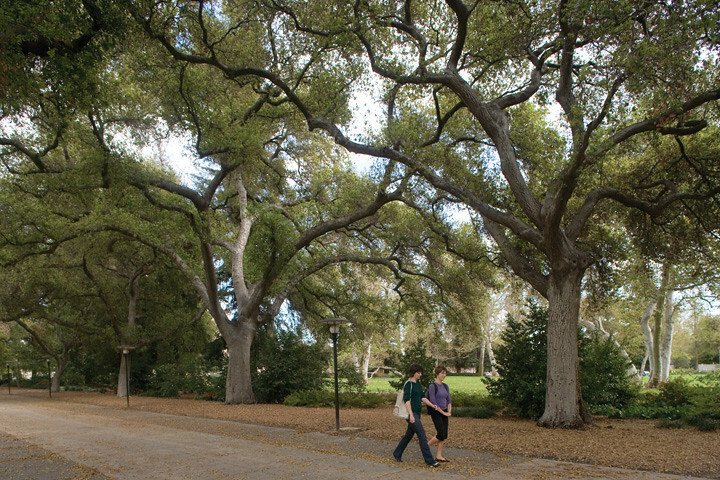 Because SCIAC wouldn’t permit teams of three colleges, the addition of Harvey Mudd College led the two institutions to discontinue the joint program they had maintained since 1946. 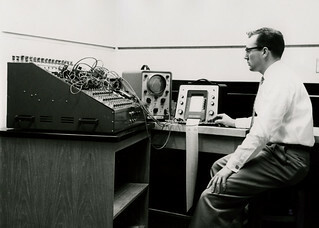 Pomona returned to its pre-war organization and Claremont Men’s College formed a new joint program with Harvey Mudd. The College's Athletic Hall of Fame was founded with three inaugural members: Robert Strehle '19, Earl "Fuzz" Merritt '25, and John McColl '50. 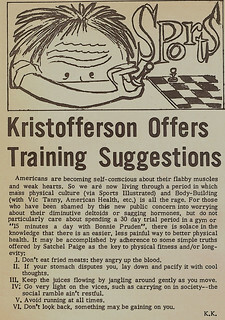 Actor, singer and songwriter Kris Kristofferson ’58 recorded his first country music single “Viet Nam Blues” in 1967. His hit songs include “Sunday Morning Coming Down,” “Help Me Make It Through the Night,” which won a Grammy for country song of the year, and “Me and Bobby McGee,” which topped the charts for Janis Joplin in 1971. Pomona’s eighth Rhodes scholar, Kristofferson’s movie credits include Blume in Love, Pat Garrett and Billy the Kid, A Star Is Born (for which he won a Golden Globe), and the recent Dolphin Tale. He was inducted into the Country Music Hall of Fame in 2004. Anthony Zerbe ’58, a second-generation Pomona graduate, may not be a household name, but he has a famous face as a character actor with a long list of stage, screen and television roles, dating back to his debut on the series Naked City in 1963. Often cast as a villain, Zerbe’s movie credits include The Omega Man, Licence to Kill, The Dead Zone and The Matrix Reloaded. In 1976, he won an Emmy for best supporting actor for his role as Lt. Trench in the series Harry O.
Relman (Pat) Morin ’29 won his second Pulitzer Prize as a reporter for the Associated Press for his reporting on rioting over school integration in Little Rock, Arkansas. He won his first in 1951 for his AP reports on the Korean conflict. The nuclear powered submarine USS Nautilus became the first vessel to sail beneath the North Pole. Pope John XXIII succeeded Pope Pius XII as the 261st pope.